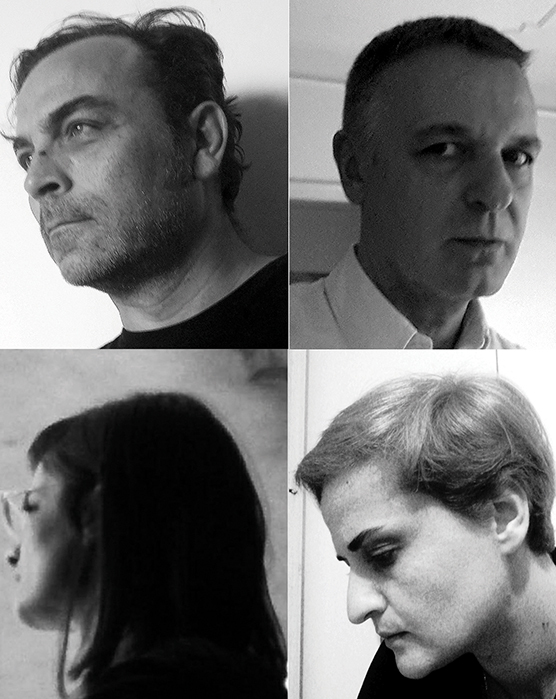 DVA:studio was founded by Milan Đuric and Aleksandar Vuja in 2000 in Belgrade. Slađana Milivojević and Milka Gnjato joined the studio in 2005. DVA:studio received a number of awards for project quality and implementation: Salon of Architecture Grand Prix (2014), Annual Award of the Association of Architects of Serbia (2014), Salon of Architecture Award (2008), Trimo architectural awards (2007, 2009 and 2011) and other awards and recognitions. They have participated in over 50 competitions and have received 20 awards and 10 purchases. Milan Đurić, architect, Faculty of Architecture, Belgrade. Since 1994 employed at the Faculty of Architecture, University of Belgrade, in collaborative and teaching professions. Since 2013 participates in teaching at the same faculty as an associate professor. Professional practice within DVA:studio. Aleksandar Vuja, architect, Faculty of Architecture, Belgrade. Since 1993 he has worked at the Faculty of Architecture, University of Belgrade, in collaborative and teaching professions. Since 2013 participates in teaching at the same faculty as an associate professor. Professional practice within DVA:studio. Milka Gnjato, architect, Faculty of Architecture in Belgrade. Professionally engaged in several design offices, and from 2007 to 2015 in the architectural office of DVA:studio. Slađana Milivojević, architect, Faculty of Architecture in Belgrade. In 2011 she completed her master academic studies, Second level - Master di secondo livello - Facolta Di Architettura - Sapienza Universita di Roma. She has been working with the architectural office DVA:studio since 2005. DVA:studio's approach to architectural projects is always marked by exploration and interpolation of context, the conditions found in the environment. The development of a project ranges from the basic, determining conditions to methodological confrontations of ambivalent elements in the context. DVA:studio are one of the bright stars of 'BRILLIANT SERBIAN SCENE' on COMPLEMENTARY CONTRAST Symposium 8/10/2016 at 3:00 pm. With regard to several projects, Milan Đurić will give a speech about their creative process and context-based design methodology.